Burj Al-luqluq social center partnered with CISP lunched a ceramic work-place for learning ceramic basis and skills. Many important characteristics attended the opening ceremony such as delegations from European Union, CISP representatives, Jerusalemite affairs , many Jerusalemite representatives from different institutions such as pontifical mission institution and Pal-Vision institution and Burj Al-luqluq Manager, staff and volunteers. Burj Al-luqluq manager Muntaser Edkaidek welcomed the crowed confirming that the opening ceremony came along women’s day to provide a message which supports Jerusalemite women by giving them job opportunities and meeting their needs. 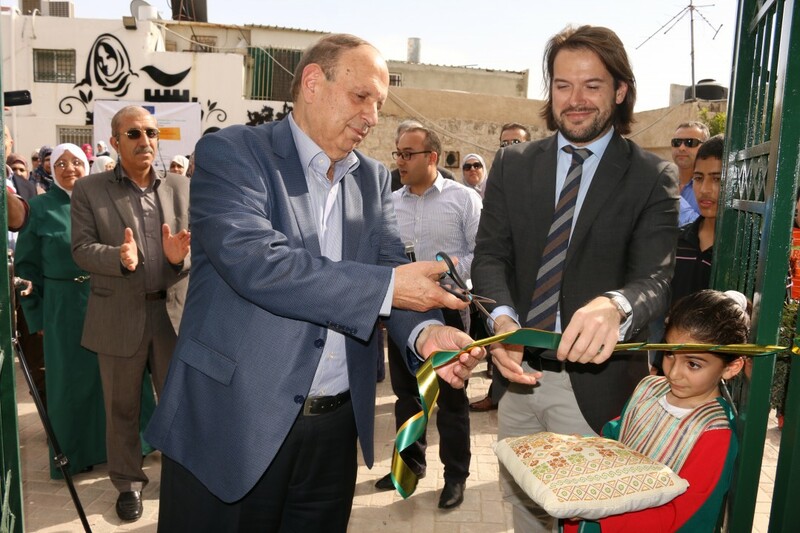 Then, Muntaser presented Jerusalem Affairs minister Adnan Al-Husseini who expressed his pride of Burj Al-luqluq Social center development and how this association turned from regular projects into leading and educational projects which contribute in supporting managerial expenses and reinforce its steadfastness and survival in the Old City.